(2)Design and Syntheses of Novel Small Molecule Bioprobes and Drugs. Protein–protein interactions play a key role in most biological processes, and offer attractive opportunities for therapeutic intervention. The targeted manipulation of protein-protein interactions with the use of small molecules is rapidly gaining importance in the development of biological tools for dissecting living processes on a molecular level and for the discovery of conceptually novel drugs. Our research centers on rationally designed molecular probes/drug candidates, and their application to biological problems, especially in cancer biology and neurodegenerative disorders. 1. Guo, Y.; Zhao, M.; Xu, Z.; Ye, T. “Total Synthesis and Stereochemical Assignment of Actinoranone” Chem. Eur. J. 2017, 23, 3572–3576. 2. Liao, L.; Zhou, J.; Xu, Z.; Ye, T. “Concise Total Synthesis of Nannocystin A” Angew. Chem. Int. Ed. 2016, 55, 13263-13266. 3. Zhou, J.; Gao, B.; Xu, Z.; Ye, T. “Total Synthesis and Stereochemical Assignment of Callyspongiolide” J. Am. Chem. Soc. 2016, 138, 6948-6951. 4. Gunasekera, S. P.; Li, Y.; Ratnayake, R.; Luo, D.; Lo, J.; Reibenspies, J. H.; Xu, Z.; Clare-Salzler, M. J.; Ye, T.; Paul, V. J.; Luesch, H. “Discovery, Total Synthesis and Key Structural Elements for the Immunosuppressive Activity of Cocosolide, a Symmetrical Glycosylated Macrolide Dimer from Marine Cyanobacteria” Chem. Eur. J. 2016, 22, 8158-8166. 5. Liu, J.; Wang, L.; Zhang, J.; Xu, Z.; Ye, T. “The total synthesis and stereochemical assignment of scytonemin A” Chem. Commun., 2016, 52, 1002-1005. 6. Qu, S.; Chen, Y.; Wang, X.; Chen, S.; Xu, Z.; Ye, T. “Total Synthesis of Largamide B” Chem. Commun. 2015, 51, 2510-2513. 7. Lei, H.; Yan, J.; Yu, J.; Liu, Y.; Wang, Z.; Xu, Z.; Ye, T. “Total Synthesis and Stereochemical Reassignment of Mandelalide A” Angew. Chem. Int. Ed. 2014, 53, 6533-6537. 8. 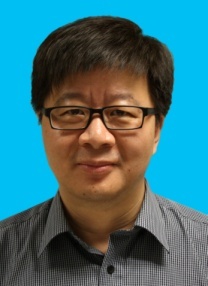 Zhang, X.; Lu, F.; Wang, J.; Yin, F.; Xu, Z.; Qi, D.; Wu, X.; Cao, Y.; Liang, W.; Liu, Y.; Sun, H.; Ye, T.; Zhang, H. "Pluripotent Stem Cell Protein Sox2 Confers Sensitivity towards LSD1 Inhibition in Cancer Cell", Cell Reports, 2013, 5, 445-457. 9. Song, L.; Liu, J.; Gui, H.; Hui, C.; Zhou, J.; Guo, Y.; Zhang, P.; Xu, Z.; Ye, T. “Synthesis of the Macrocyclic Core of Rhizopodin” Chem. Asian J. 2013, 8, 2955-2959. 10. Liu, H.; Liu, Y.; Wang, Z.; Xing, X.; Maguire, A. R.; Luesch, H.; Zhang, H.; Xu, Z.; Ye, T. “Total Synthesis and Biological Evaluation of Grassypeptolide A” Chem. Eur. J. 2013, 19, 6774-6784. 11. Long, B.; Tang, S.; Chen, L Qu, S.; Chen, B.; Liu, J.; Maguire, A. R.; Wang, Z.; Liu, Y.; Zhang, H.; Xu, Z.; Ye, T. “Total Synthesis of Padanamides A and B” Chem. Commun. 2013, 49, 2977-2979. 12. Dai, L.; Chen, B.; Lei, H.; Wang, Z.; Liu, Y.; Xu, Z.; Ye, T. “Total Synthesis and Stereochemical Revision of Lagunamide A” Chem. Commun. 2012, 48, 8697-8699. 13. Wang, M.; Feng, X.; Cai, L.; Xu, Z.; Ye, T. “Total Synthesis and Absolute Configuration of Nocardioazine B” Chem. Commun. 2012, 48, 4344 - 4346. 14. Wang, J.; Lu, F.; Ren, Q.; Sun, H.; Xu, Z.; Lan, R.; Liu, Y.; Ward, D.; Quan, J.; Ye, T.; Zhang, H. “Novel Histone Demethylase LSD1 InhibitorsSelectively Target Cancer Cells with Pluripotent Stem Cell Properties” Cancer Research, 2011, 71, 7238-7249. 15. Wang, L.; Xu, Z.; Ye, T. “Total Synthesis of Hoiamide C” Org. Lett. 2011, 13, 2506-2509. 16. Liu, Y.; Wang, Z.; Kwong, S.; Lui, E. L. H.; Friedman, S. L.; Li, F.; Lam, R. W. C.; Zhang, G. C.; Zhang, H.; Ye, T.; “Inhibition of PDGF, TGF-β and Abl Signaling and Reduction of Liver Fibrosis by the Small Molecule Bcr-Abl Tyrosine Kinase Antagonist Nilotinib” J. Hepatology, 2011, 55, 612-625.